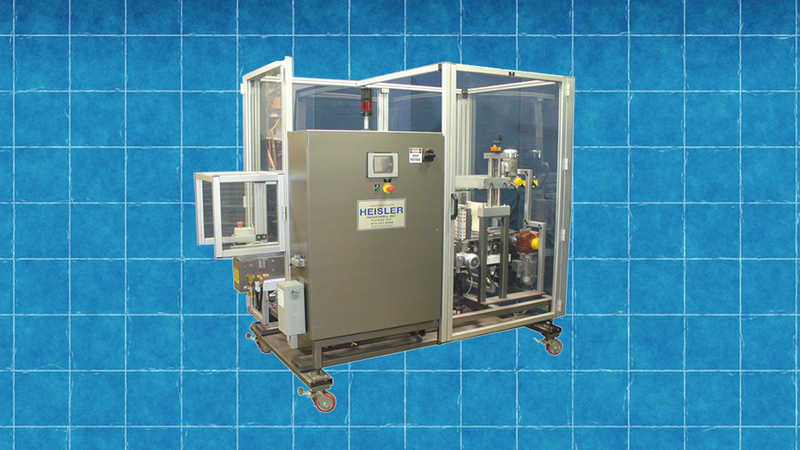 HEISLER Industries manufactures pail labelers, pressure sensitive labelers and wet glue labeling machines for some of the most commonly used plastic and metal pails. Our labeling machines are designed to quickly and efficiently apply labels to 2-6 gallon round plastic or metal pails; square or rectangular cartons or containers & 5-gallon water jugs. 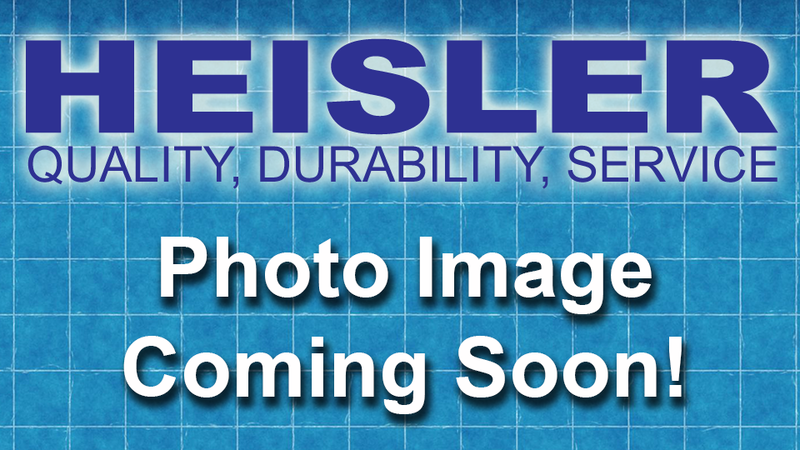 There is a HEISLER labeling system to meet virtually any container labeling application, including: Plastic pail labeling, Metal pail labeling, F-Style labeling, Straight wall pail labeling, Straight sided pail labeling, Tapered pail labeling, Square pail labeling, Rectangular pail labeling, Box labeling, Case labeling, Square carton labeling, Rectangular carton labeling, 5 gallon pail labeling. 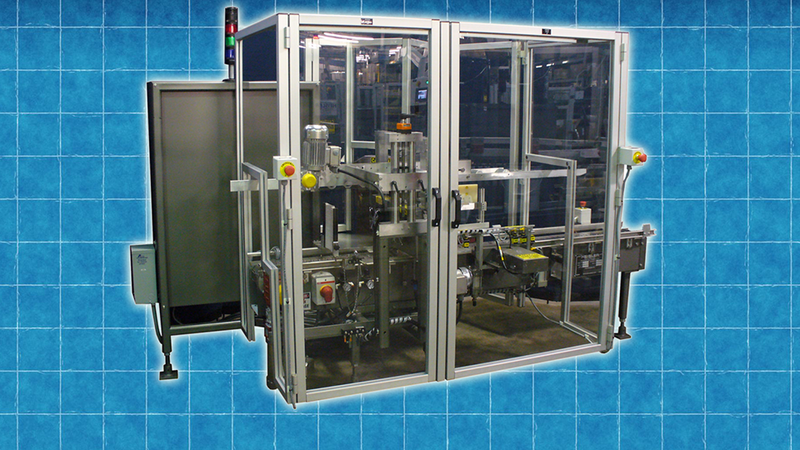 With HEISLER pressure sensitive labelers, once a pail has entered the machine and trips a sensor, the label is fed onto patented label gates. These gates apply the label to the pail from the center out, following the pail taper, and ensuring precise labeling. After the label has been applied to the pail, the label is wiped on tightly. Pails never stop, and are automatically oriented for pail handle to label registration. Bail lifting or pail pre-orientation is not required. Our wet glue labeler uses a Horizontal Label Magazine, which feeds the paper labels, using a series of suction cups, and roller to invert and drop the label into the label track. Using a feed roller, the label traverses over the glue roller. Because the glue roller does not control the feeding, the labels are fed accurately regardless of the glue film adjustment. 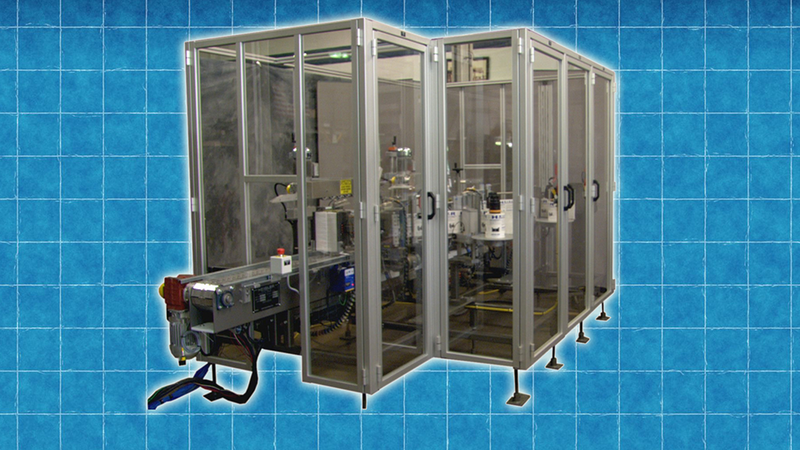 The same label gate application and wipe-on occurs as in our pressure sensitive labeling machines. The print and apply option is available for both pressure sensitive and wet glue machines. This allows the printing of labels as needed, thus reducing unnecessary preprinted label inventory. A thermal transfer printer is used to print the labels with your company’s information, graphics, bar code, etc. After printing on a pressure sensitive machine the label is fed with the applicator. On a wet glue machine the label is cut to size and fed over the glue roller. Then the label is fed to the label gates and is wiped on the container as above. For labeling 2-7 gallon pails, this machine has an operational speed of up to 30 CPM. The HL-70PS is a pressure sensitive pail labeler that features no messy glue set-up or clean-up. This machine is a front and back wet glue pail labeler that has a high speed operation of up to 30 CPM. The HL-70DBPS Labeler is designed to eliminate the repetitive and demanding task of manually applying labels to pails. 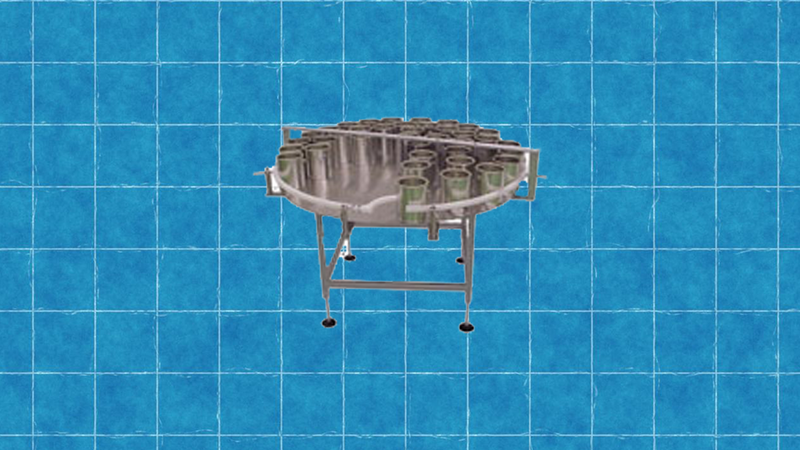 This machine can place both front and back labels on pails with or without handles, at speeds up to 20 pails per minute. Unscrambling models and accumulation models available. Uncomplicated design allows for ease of adjustment and basic service.